Prof. Iain McMenamin works on a range of issues relevant to the success of post-conflict societies, such as political party institutionalisation, corruption, political finance, and economic policy. He is the author of If Money Talks, What Does It Say? Corruption and Business Financing of Political Parties (Oxford University Press) and many articles in leading journals such as World Politics, International Studies Quarterly, and the European Journal of Political Research. 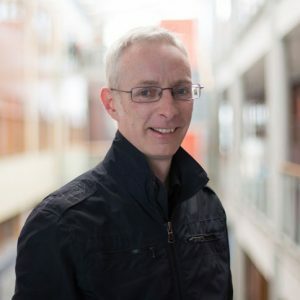 He is currently leading an Irish Research Council-funded project on “Credibility and the Politics of Austerity”. Prof. McMenamin studied at University College Dublin, Nuffield College, Oxford, and the London School of Economics. He is currently Head of the School of Law and Government.